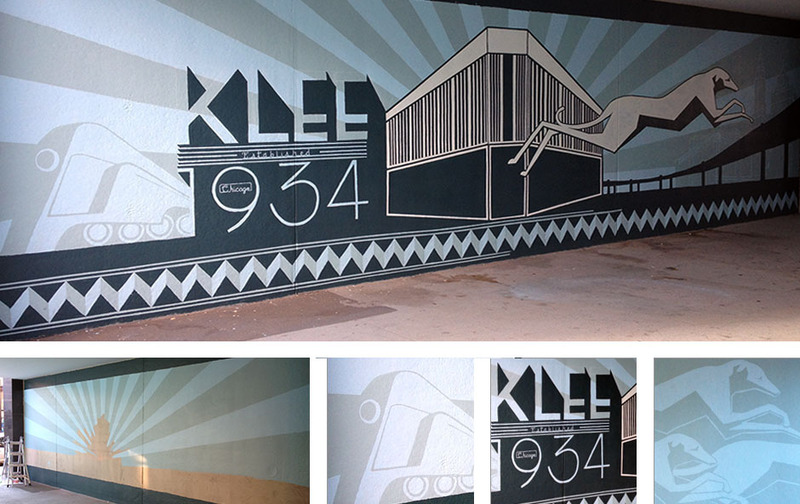 In the fall of 2012 I had the pleasure of working with the non-profit Arts Alive Chicago on a mural at a pass through at Chicago’s historic Klee Building located near the six corners intersection of Cicero and Milwaukee. I worked to oversee various designers (myself included) to submit concepts in response to the projects call for submission. The design selected was put forth by Jax Nakasena and I aided the very talented lead artist Cyd Smillie on executing the work.